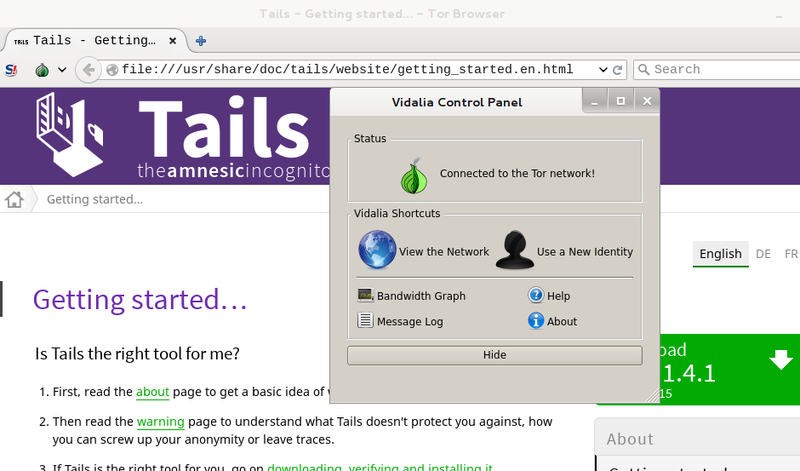 Tails is a Debian based live operating system which can be booted from USB, CD/DVD or SD card and lets you browse internet anonymously. It uses many cryptographic tools to protect your privacy while you continue to explore the internt. The very first version of this operating system was released in 2009 and it has been under news and constant development till date. 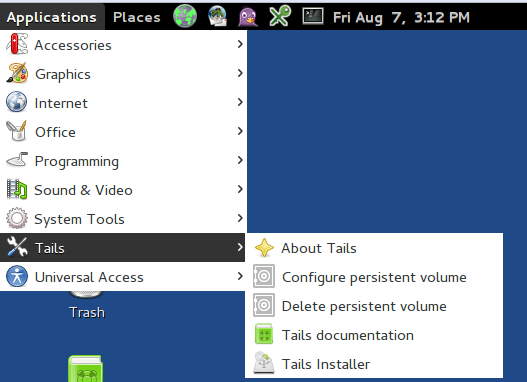 Right now developers are getting ready to make Tails 1.5 available for download. 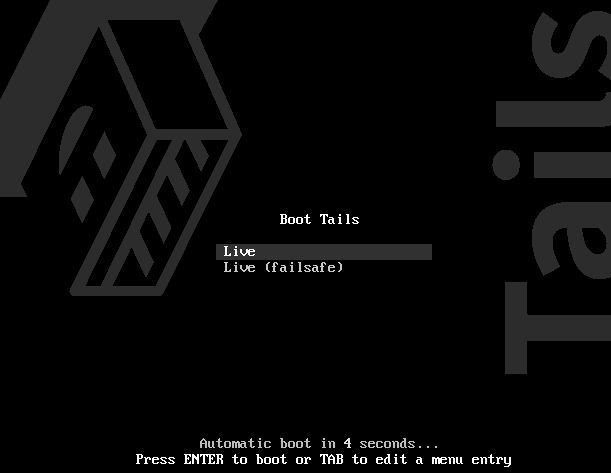 In the effort to make this new release a stable operating system, they have announced availability of Release Candidate 1 (RC 1) for Tails 1.5 so that users may test and report any buys in the operating system. Let’s see how this new operating system looks like. First of all download the ISO file for this operating system from following URL. 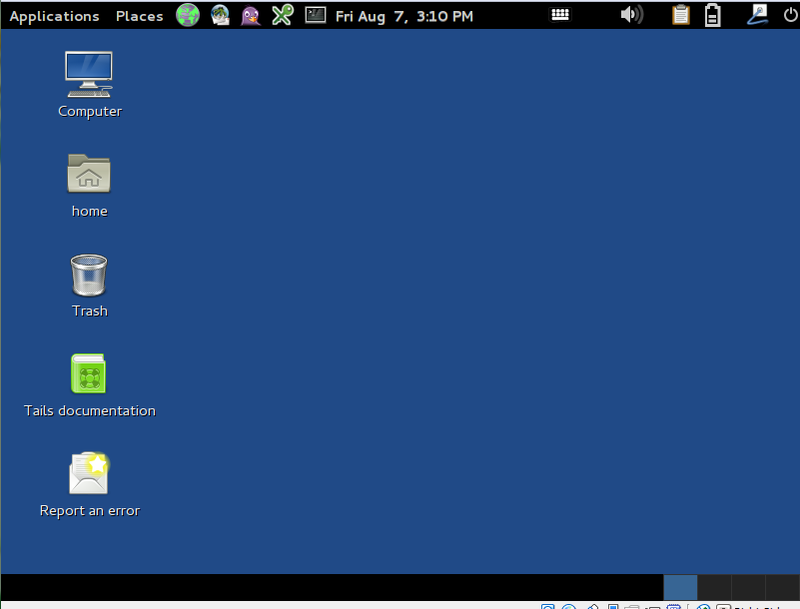 Here is the desktop for this new operating system, neat and clean; menu bar on the top and important applications already pined to menu bar. 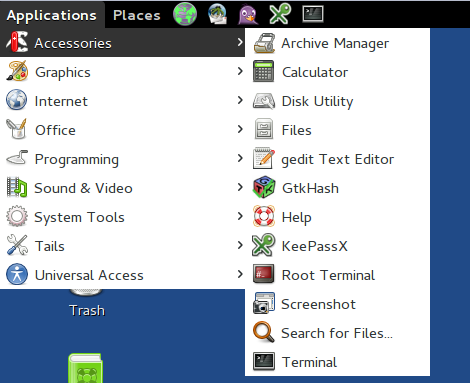 You can play with the settings of Tails operating system from Applications >> Tails option. 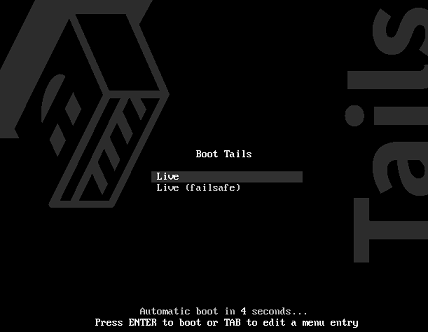 You can run the installer from here, running the installer lets you either clone your current operating system from removable media to your hard drive or you can upgrade Tails by using this tool. Here is the list of “Accessories”, you might notice well known KeePass app here, the reason is because it is a security related application so its integral part of this operating system now. This operating system is incomplete without Tor. Tor network and Tor browser is the true essence of this operating system and they let you remain anonymous while browsing internet. 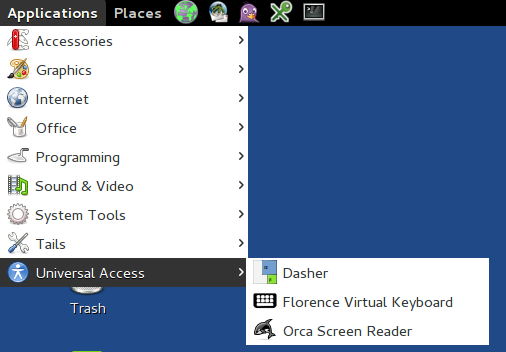 Accessibility tools like “Dasher” and “Orca” are a nice addition to this operating system; it will definitely help increasing the user base for this OS. Just look at the default Graphics applications; it should be surprising for you. Working with graphics, editing photos, and scanning documents are super easy now.